Located on Elia beach on Mykonos island, the Myconian Imperial Resort & Villas is a five star hotel and a member of the Leading Hotels of the World. This exclusive resort is an ideal choice for high-end travelers who want to enjoy a luxury vacation on the island of Mykonos. 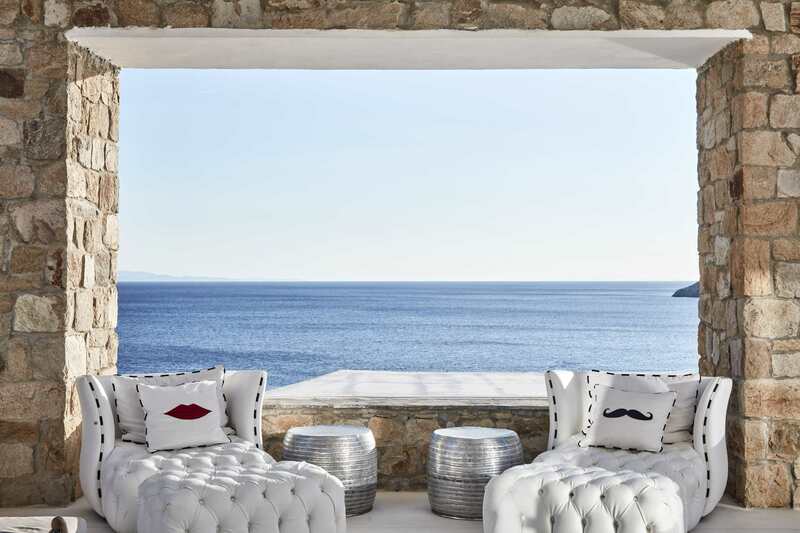 Along with the other Mykonos luxury hotels of the Myconian Collection Hotels Group, the Myconian Imperial Resort & Villas prides itself on excellent hospitality and luxurious accommodation. Its friendly staff, exclusive services and breathtaking ambiance makes this five star hotel a unique choice among Mykonos hotels. 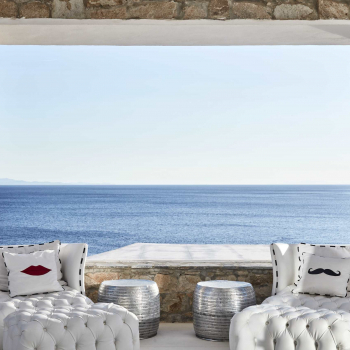 With its luxurious rooms and suites blending modern comfort harmoniously with traditional Myconian style, its Thalasso Spa Center and its various bars and restaurants, this Mykonos boutique resort has set the standards of hospitality very high. Spa facilities, swimming pool, 2 gourmet restaurants, 3 bars, complimentary Wi-Fi access, reception desk. Split A/C - heating, balcony or terrace, direct dial phone, mini stereo, DVD, ironing board, electricity current 220-240 V, 110 shavers only, full length mirrors, hair dryer, mini bar, radio, safe deposit boxes, satellite T.V. 21 inches, telephone in W.C., open speech telephone, porcelain bathtubs, marble bathrooms and deluxe toiletries. Concierge services, car rental services, valet parking, kids playground, babysitting service, doctor on call, business center, water sports and PADI diving center.